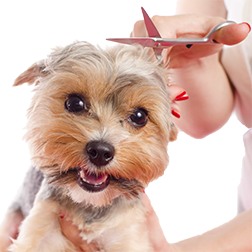 Pet nutrition requirements can vary, depending upon the breed, activity, metabolism and owner′s preference. Whether or not an animal is fed once or twice daily, it should be fed at the same time, and fresh drinking water should always be made available. Just as with humans, a dog′s appetite may vary from day to day. This should not pose a problem unless the loss of appetite persists or the dog shows signs of illness or weight loss. Here at Town & Country we carry a variety of formulated nutritional balanced diets for each specific age of your dog or cat as well as prescribed diets that help meet the needs of geriatric pets or those who suffer from heart conditions, gastrointestinal conditions, kidney problems, obesity, diabetes, colitis and some types of allergies. The internet contains a vast amount of information on pet nutrition. 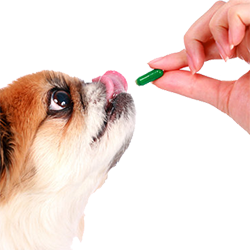 Here we will provide several links to quality web sites with information on your pet′s nutrition. Town and Country Veterinary Clinic recommends Purina Pet Nutrition food for your dog or cat. Your dog’s size, age and energy level are a huge part of their unique personality. They’re also the reasons that every dog’s nutritional needs are different. Here you’ll get the important information you need to find the perfect balance for your special friend, including food facts, vitamins and minerals, aging, and allergies and obesity.